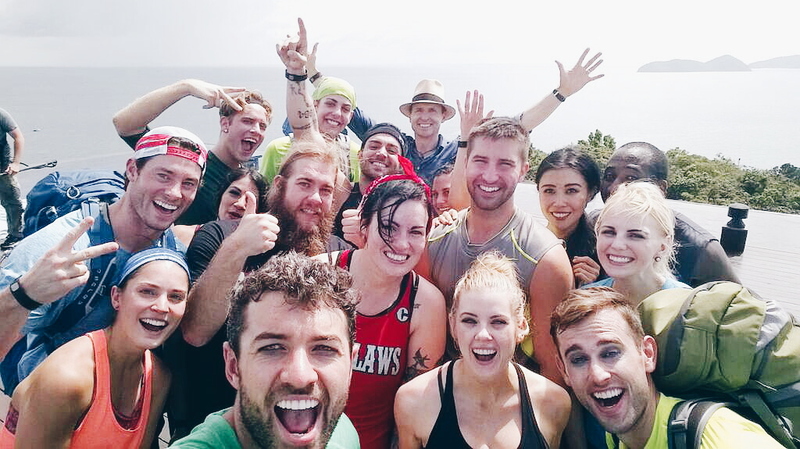 In Phuket, we lost our first place lead and slipped to third place on the third episode of The Amazing Race. But that was insignificant compared to what happened at the pit stop. We got to witness love unfold as Matt proposed to Ashley on the rooftop of the Sri Panwa Hotel Baba Restaurant overlooking one of the most breathtaking views in the world. It was a beautiful moment that I will never ever forget! When Jelani and I arrived in Patong Beach, we were exhausted from traveling all day and night. But we're both foodies who love Thai food so instead of going to bed, we found a seafood restaurant near the hotel and feasted on pad thai, lobster, and duck curry. It was one of our favorite meals! My respect for JLA grew exponentially that night. He handled the spice like a boss! I wish we had the time (and the money) to roam the streets of Phuket eating our way from one food stall to the next. The island comes to life at night as the streets are packed with food carts offering every carb imaginable-from curry to noodles to sticky rice! It's a food festival every single day. Perhaps one of the few places in the world where both men and women take equally good care of their skin, I was super distracted by the flawless complexions of the lady boys when we arrived at My Cabaret for the dance challenge. We had just come from the zipline detour which was grueling as Jelani and I had to repeat it a couple of times. Making the trek up to the zipline area balancing full trays of food while wearing heat trapping helmets and waiter uniforms under high humidity tropical weather created a sweaty mess. We had to keep reapplying our makeup at My Cabaret as it kept melting off. Ty, Blair, and Steve were in the makeup room with us and every time I looked at one of them, I couldn't help but crack up. The sight of super masculine tall bearded men wearing purple eyeshadow, eyelash extensions, and red lipstick while rocking beaded dresses and pantyhose was absolutely amazing. It was one of the funniest moments on the race! When it comes to beauty treatments, the people of Phuket seek out holistic and natural ingredients. Tumeric is used as a facial scrub to help reduce fine lines and pores. Lemongrass is mixed in with tea and other drinks as it aids in digestion and detoxation. Papaya, the most popular fruit in Phuket, is high in antioxidants, vitamins, and AHAs and can be blended and applied as a face mask. 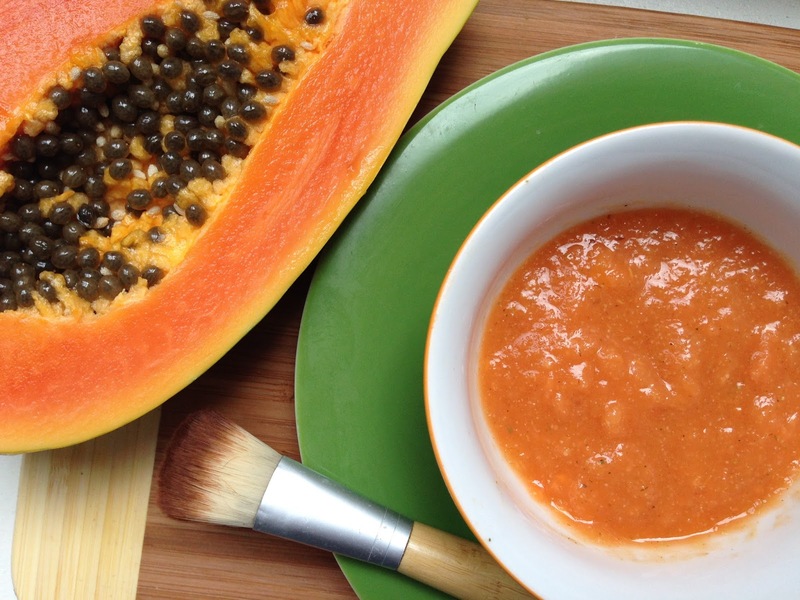 Blend one quarter of ripened papaya with one tablespoon honey and one teaspoon lemon juice until you get a fine paste. Apply mask to clean face and leave on for 15-20 minutes. Wash off and repeat weekly! 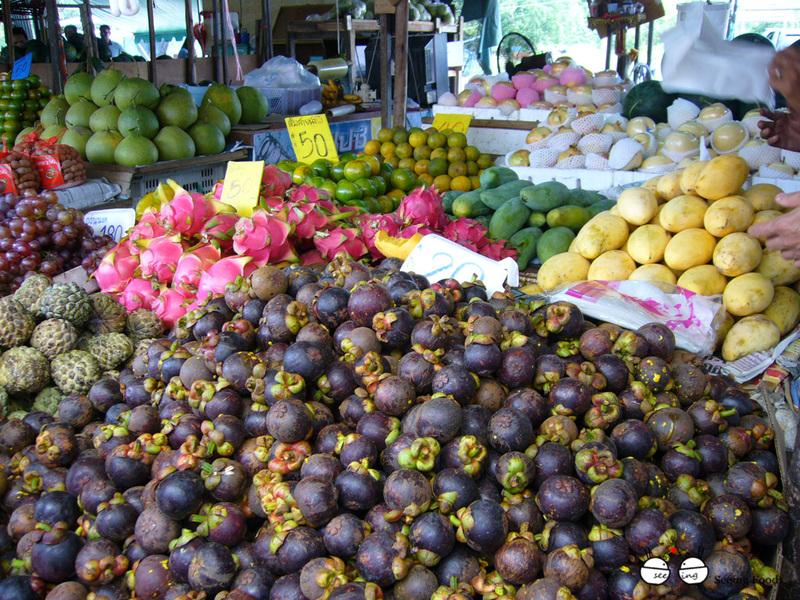 People in Phuket take advantage of their tropical bounty and snack on fruit instead of junk food. Many dishes contain chillies, lemongrass, lime juice, kaffir leaves, and galanga-ingredients that speed up metabolism and help with digestion. Owning a car in Phuket is a luxury so most people ride bikes, mopeds, or walk which means daily exercise (along with dancing) is built into their daily lives. What a healthy lifestyle! 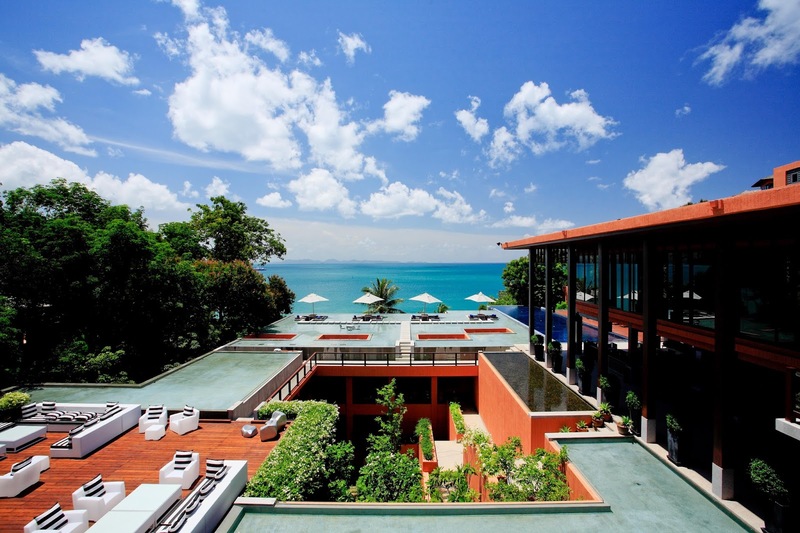 Oh Phuket, what a beautiful and magical place! Tonight we're off to Bangkok where my sweat mustache makes multiple appearances and things get just a little less pretty. See you there at 8pm on CBS!